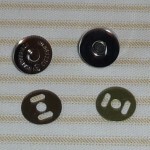 Magnetic snaps make great closures for handbags and totes. 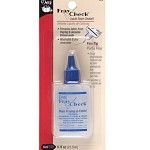 They’re clean-looking and offer quick and easy opening and closing of your bag. 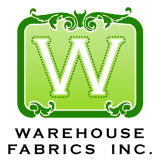 They’re easy to install, but if you don’t take a few precautions, you could end up with strained, torn fabric. Let me show you how I do it. A full tutorial for the bag you see here can be found at this link. Decide where you want the snap. I wanted it centered at the top of the inside of my bag, so I measured halfway across, and then put a dot 1-1/4″ down from the top. 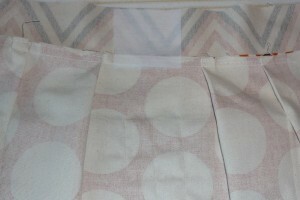 This allows me room to sew and top stitch the top of the bag without the snap getting in the way. 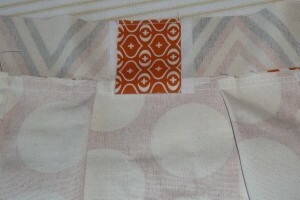 Fuse a small scrap of interfacing on the back side of the fabric where the dot is. This will add reinforcement. But not enough for my taste. 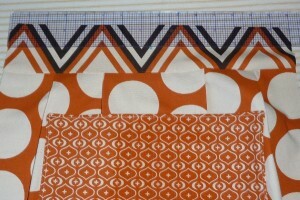 I like to add even more reinforcement by stitching a double-layer scrap of fabric over the interfacing. 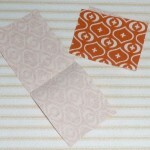 Sometimes I use any old scrap, but if you have a thin, light-colored fabric, keep in mind whether your scrap will be able to show through. 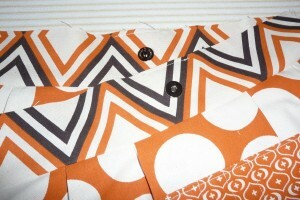 I just stitch in the seam allowance at the top. I let the fabric hang free like a flap. From the outside, you will not even know it’s there. 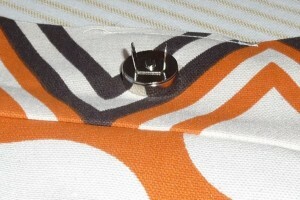 Place one side of the snap over the dot and press in to make an indention. 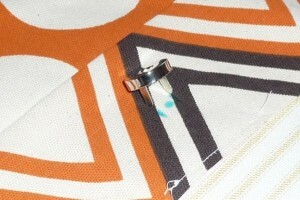 Then mark the prong indentions. 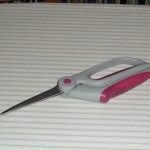 With a pair of scissors with a nice, sharp tip, snip holes for the snap prongs on the markings. 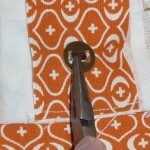 You want to aim to get through all the layers of fabric/scrap fabric/interfacing, but not make very big snips.I then choose to apply a bit of Fray Check over the cuts. 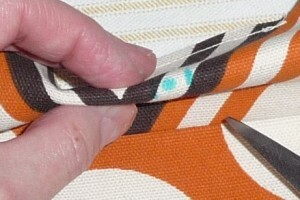 Push the prongs through from right-side to wrong-side of fabric. 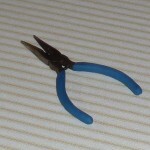 Then put the backing on and use the pliers to bend the prongs. Bend them inward. If you turn them outward, they will tear the fabric. Not immediately, but soon enough. One side of the bag is complete. Now snap the other side of the snap onto the one you just put on. 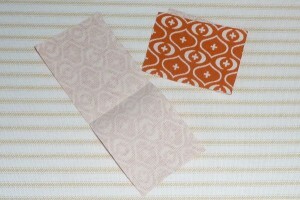 Flip the two sides of the bag to face each other and then line up the tops. 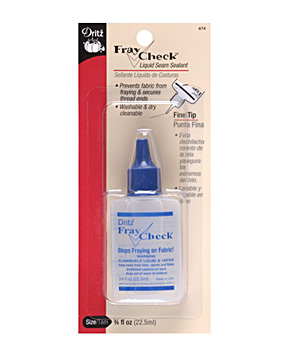 This will help you get the snaps lined up nicely. 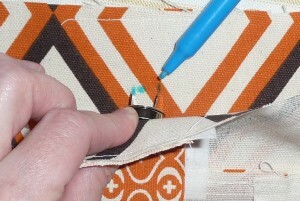 Again press the prongs into the fabric to make a small indention where you want it to go, then repeat the steps above to attach the second side of the magnetic snap.